Singapore has been very special to us. This is the 1st International destination we visited together and the only country we have visited 3 times so far. So we got quite a bit of time exploring the various nook and cranny of this country apart from the famous tourist destinations. There is so much to do and see in this little island country that one trip never feels enough. 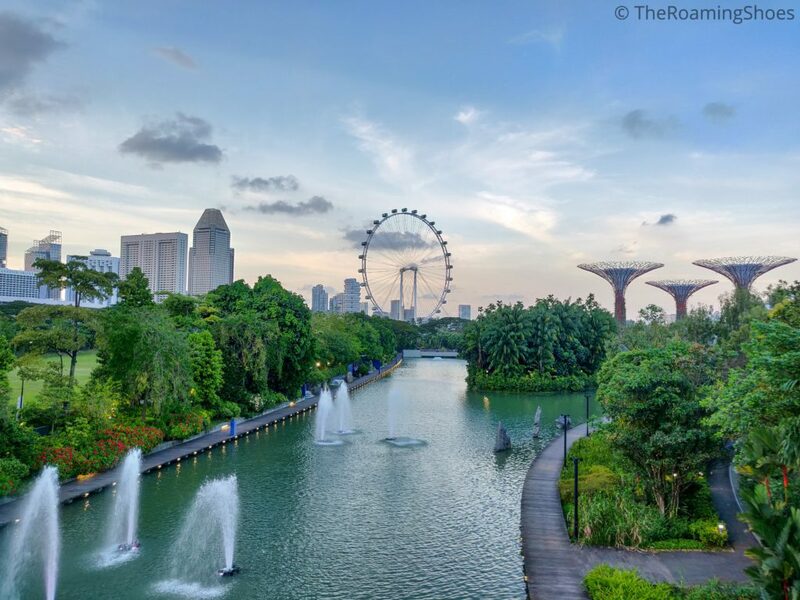 With impressive theme parks, beautiful gardens, eye-catching temples and colourful streets, Singapore has enough to keep you occupied at least for a week. Singapore can be visited all round the year. But here are a few facts that you may consider before planning your visit. November to January: While it is hot and humid most times of the year, the period from November to January brings a lot of rain and respite from the heat. But at the same time, the unexpected rains may hinder your outing plans. So keep buffer days in hand if you plan to visit during this time. Christmas, New Year, Chinese New Year, School Holidays: These are the times when all attractions get super crowded. If you visit during this time, be ready to wait longer at many of the attractions. With a world class public transportation system in place, it is really easy to get around in Singapore without spending a lot of money. MRT (Mass Rapid Transit): The extensive rail network of Singapore provides great connectivity and almost all attractions are at a walkable distance from the MRT stations. Remember that you may need to walk a lot inside the stations for catching/changing trains. Public Buses: The buses are not as tourist friendly as the MRT as many of them do not display the next stop to come and there is a chance that you might miss your stop. So try getting in to buses which have the display option or when you know your stop very well. Taxis: Taxis are very convenient though a little pricey compared to the other options. So we recommend using App based taxi Grab whose charges are a bit lower than the normal taxis. Hop on Hop Off buses: This is a good option if you want to cover the major attractions in a short period of time. Take an ezlink card from any of the MRT stations and you can use it for all your travels using MRTs and Buses. Singapore has all kinds of accommodations starting from luxury hotels to affordable hostels. Whichever accommodation you may choose, we recommend staying in a central area with easy access to the MRT and restaurants. 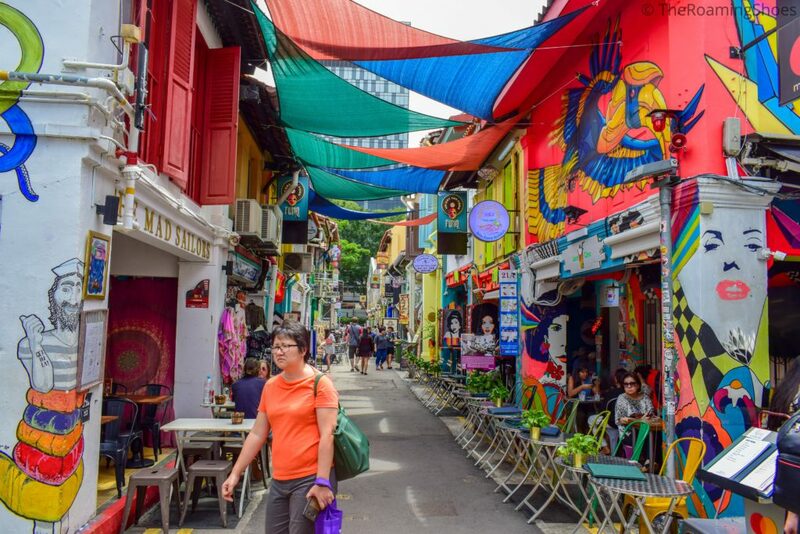 The area around Little India, Kallang, Lavender and Arab street are great places to stay with numerous hotels and backpacker hostels available to choose from. We stayed in Hotel Boss and Village Hotel Albert Court during our visits and definitely recommend the latter because of it’s location as well as the well equipped rooms. The location of The Village hotel is very beautiful and its proximity to both Little India and Bugis MRT stations make it an ideal place for the stay. 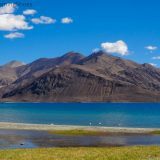 If you want to stay in hostels, then try the following as they have been very creative in providing unique stay experiences. Sentosa is a place that provides a plethora of attractions and adventure activities to choose from. So it is up to you what activities you choose depending on your interest and available time. Here is the list of attractions available in Sentosa. S.E.A. Aquarium: An amazing place to see a lot of marine life including colourful fishes, octopus, sea horses, jelly fishes and much more. Needs at least 2 hours. Universal Studios: Features several attractions starting from castles to numerous thrill rides. Do not miss the Jurrasic world and transformer rides that are the best of all. Needs half day or more depending on the rides chosen. Trick Eye Museum: This place is for taking loads of fun pictures with some amazing 3D art that create optical illusion. Download their app and use it for taking pictures to have the desired effects. Madam Tussauds: If wax statues are your thing, then this is the place to have some pictures with your favourite celebrities. 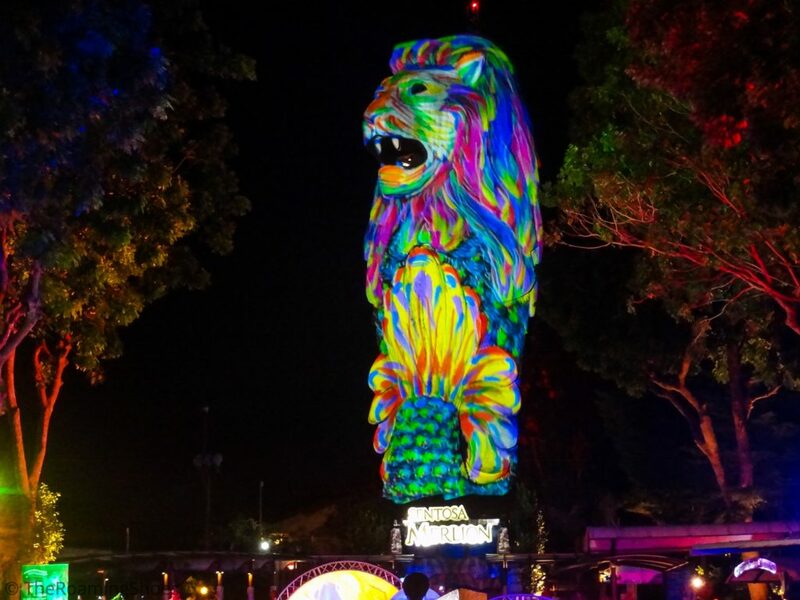 Sentosa Merlion: A huge Merlion statue which looks best during the light show in the evening. 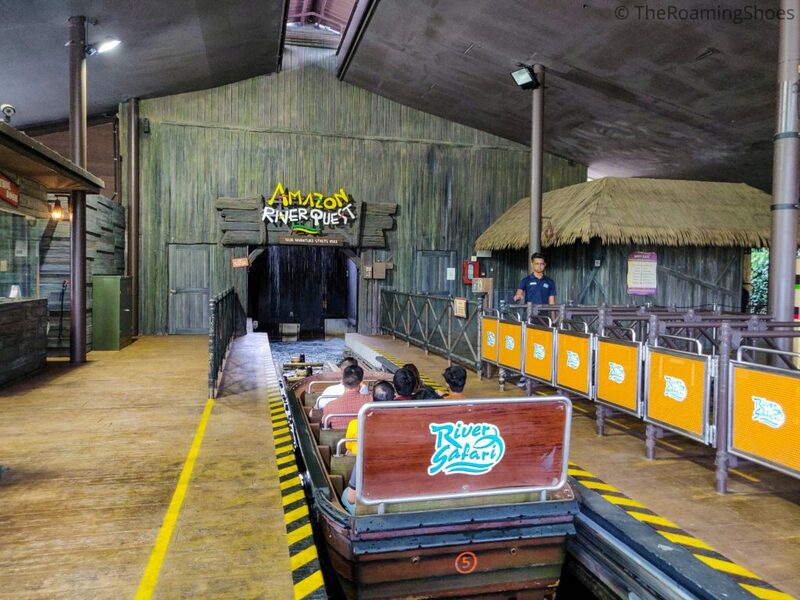 Adventure Cove Waterpark: A nice waterpark with lot of water rides and activities. 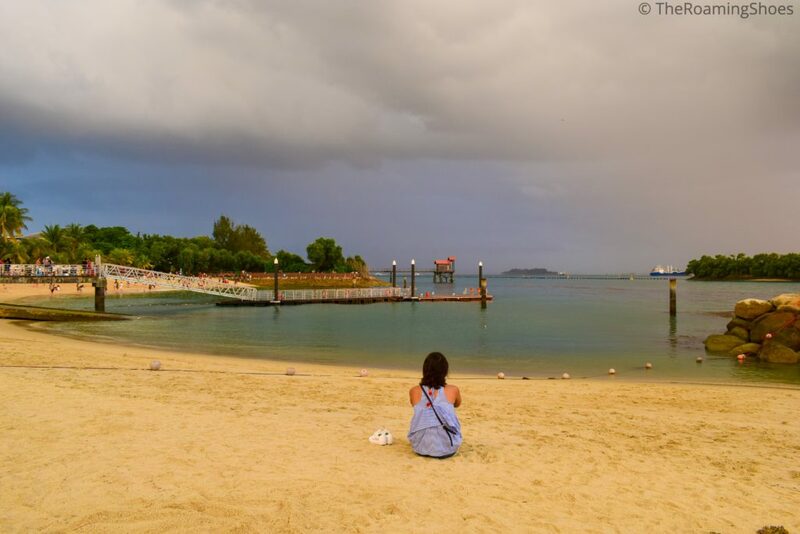 Sea Beaches (Siloso Beach and Palawan Beach): Sentosa is not all man mades things, it has 2 beautiful beaches too. 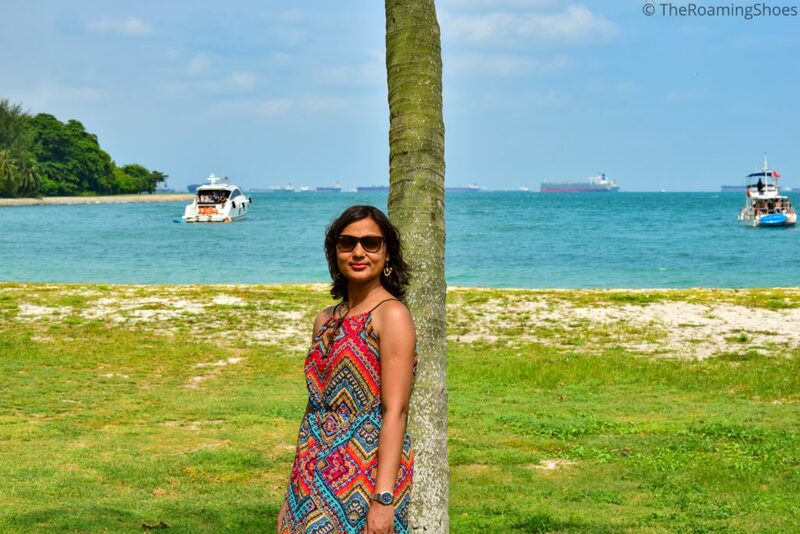 We visited Siloso beach and totally loved it. The beach is small, yet a perfect place to relax and watch sunset. Do not miss the Wings of time show that happens in Siloso beach. Skyride: If you love adventure, then hop on these 4 seater chairlifts that provide birds eye view of the island. You can also enjoy riding the cable car and monorail to get in and out of the Island. If you have one day, add the Aquarium, Universal Studios and Siloso beach to your list. 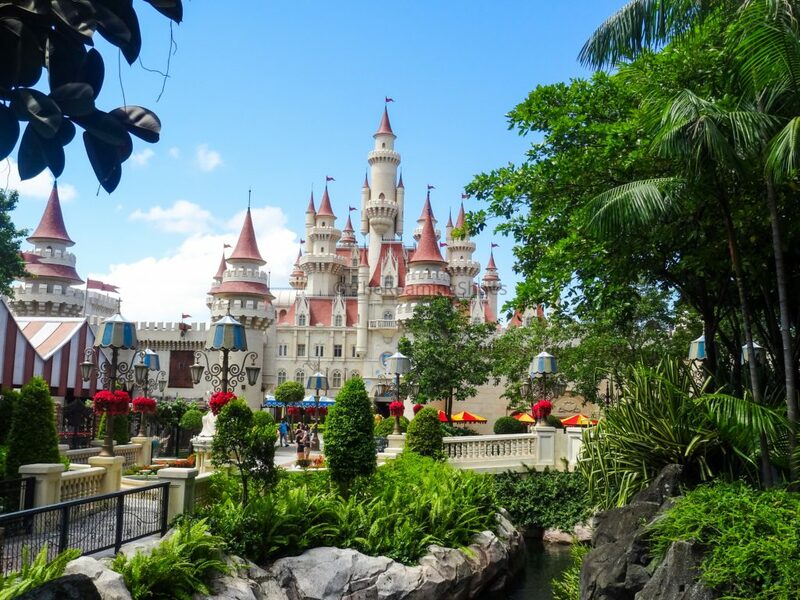 If you have another additional day, add Trick Eye Museum, Madam Tussauds and Adventure Cove Waterpark to the itinerary. 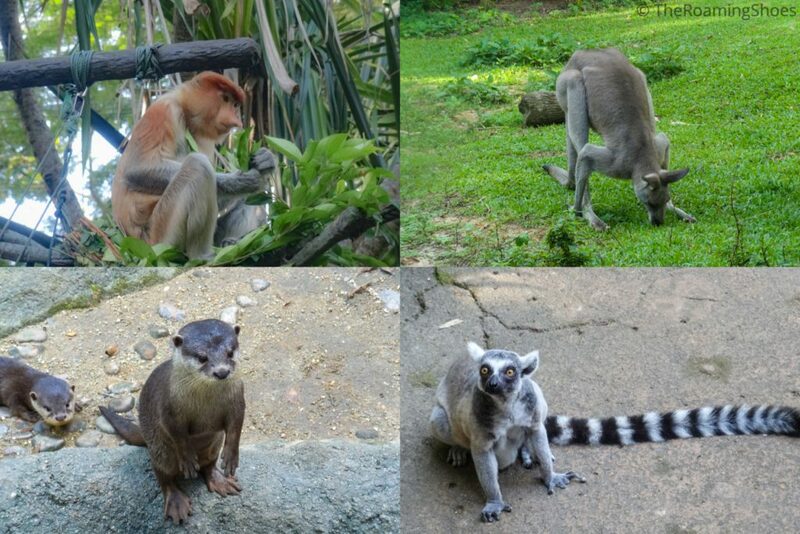 Whether you are in Singapore for a small or a long trip, you can not simply miss the Singapore Zoo. Starting from Tree Kangaroos to African painted dog, Mouse deers to Komodo dragons – there are a wide variety of animals from different parts of the world that you can see here. The best part of the zoo is the animals are kept is very large enclosures and a lot of information is provided about them including their habitat, behaviour and food habits. Adjacent to the Zoo is the River Safari which has a large collection of sea creatures including many colourful fishes, different varieties of turtles, electric eels, sea otters and the giant sea cows etc. Apart from this, the River Safari also houses two Giant Pandas and a Red panda which are major attractions among tourists. Do not miss the Amazon River Quest as part of River Safari that takes you through narrow canals on a boat giving a virtual experience of being in the Amazon rainforest. 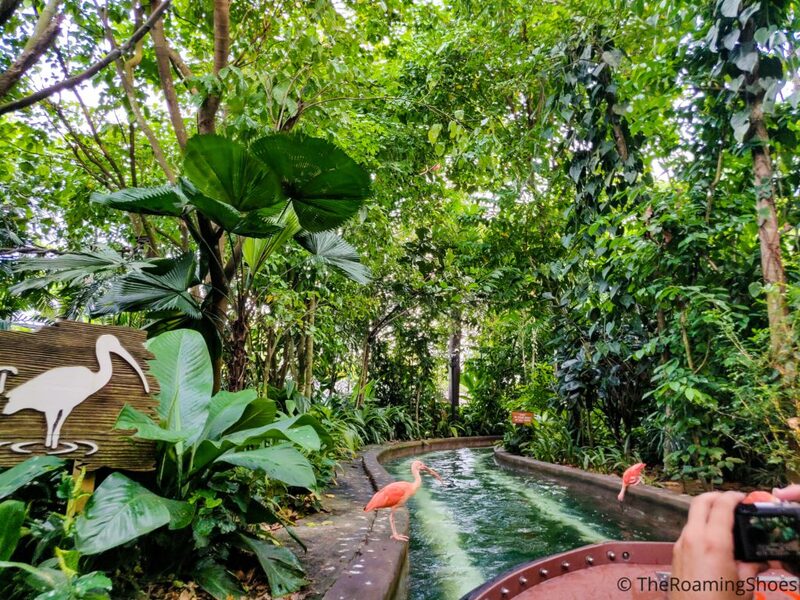 You can spot many animals and birds as part of this 15 minute adventure ride. This costs an additional 15$ besides the entry fee. As evening approaches, hop over to the Night Safari side and enjoy close encounters with the nocturnal animals through a 40 minute tram ride (equipped with audio guide). Try to cover the zoo and both safaris on a single day as the ticket fee is comparatively lower when taken as a combo. 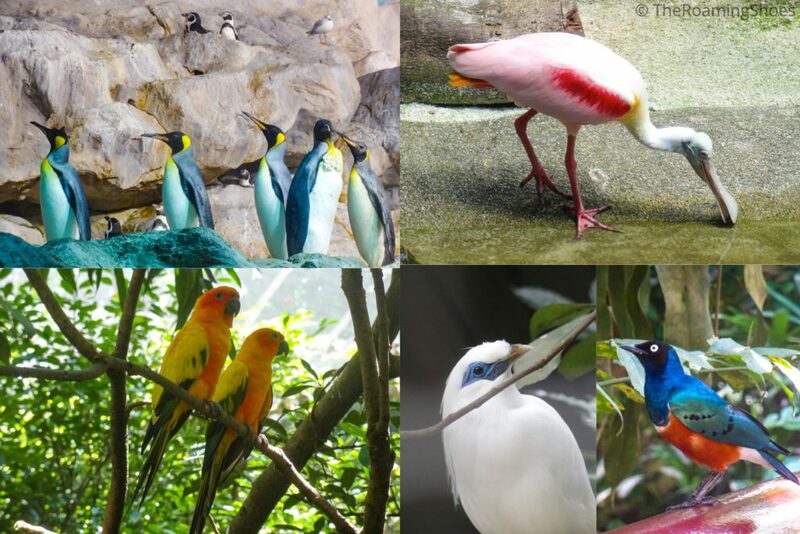 The largest bird park in Asia, Jurong bird park is home to a huge number of exotic bird species including a few endangered ones. 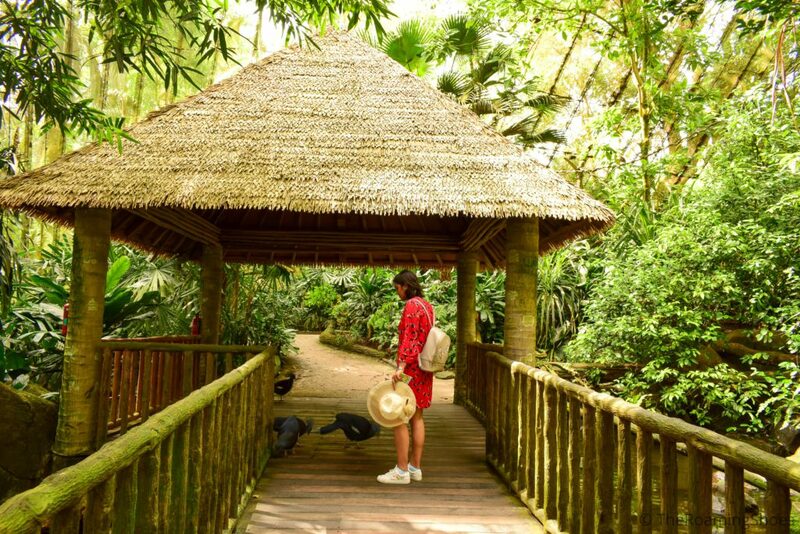 Whether it is the vibrant Macaws or the great hornbills, the elegant flamingos or the great blue Turaco – you can spot birds of every colour and size in different zones of this park. At the end walk to the Waterfall aviary to witness one of the tallest man-made indoor waterfalls with lot of birds in the surrounding area. 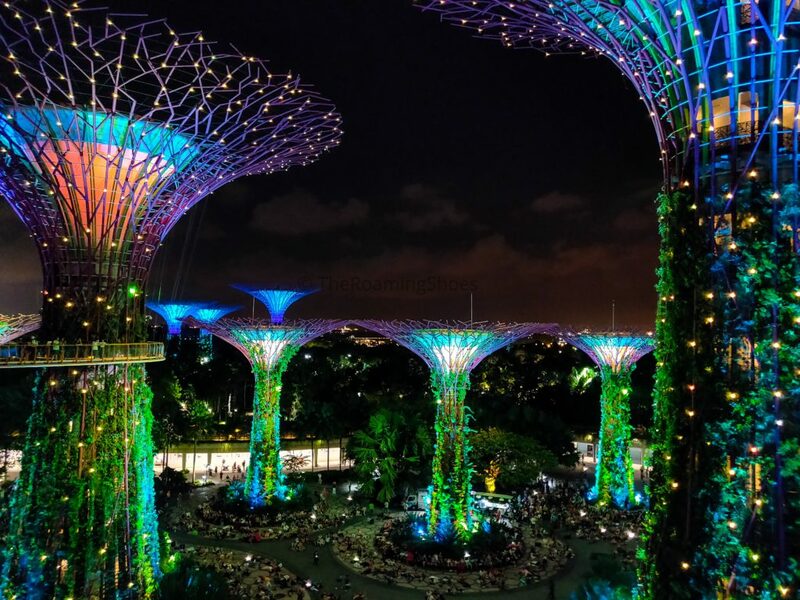 With an extensive array of gardens, a stunning waterfall, and several huge super trees with a skywalk on top – Gardens by the bay is undoubtedly one of the top most attractions of Singapore. Visit the two conservatories named Cloud Forest and Flower dome that are home to flowers and plants from different regions of the world. Plan your visit in such a way that you get to spend the evening in the Super tree Grove. The huge man made tree like structures used as vertical gardens are architectural marvels that come alive during the light and sound show. The show lasts 15 minutes and the 1st one is timed at 7:45 pm. 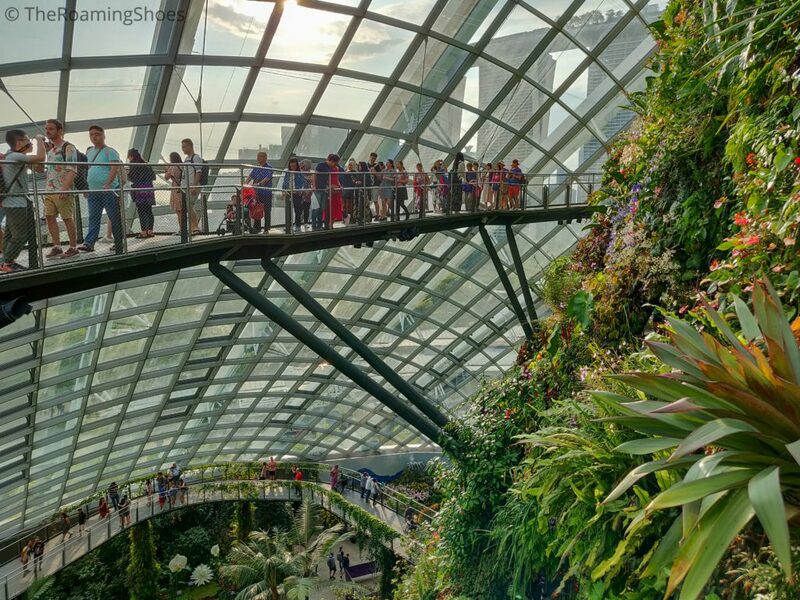 There is no entry tickets for Gardens by the bay as a whole, but separate entry tickets are required for Cloud Forest and Flower Dome. A separate ticket is also required to enter the OCBC skywalk. 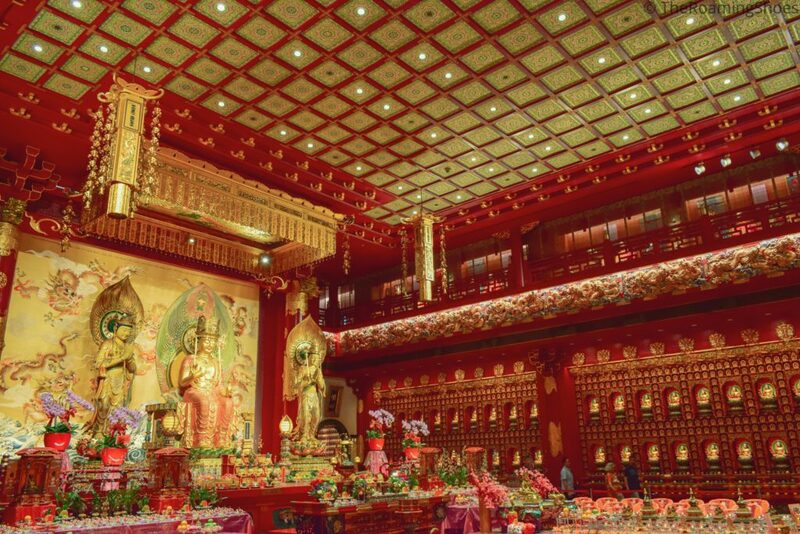 Buddha Tooth Relic temple is one of the most impressive Buddhist buildings we have visited so far. Not only the exterior, but also the interior of this five storey temple is very tastefully done. 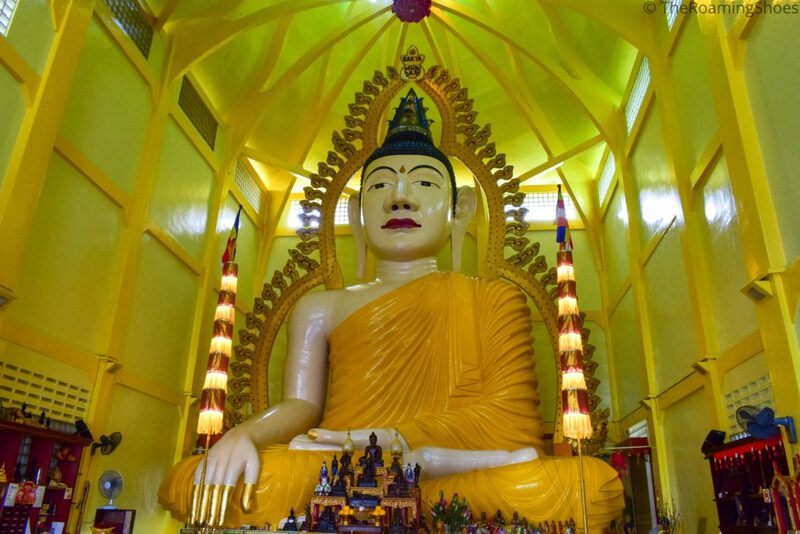 The main temple in the ground floor houses a stunning golden statue of Lord Maireya with surrounding walls having numerous Buddha statues in different postures. You can also visit the other floors of this temple building which has a museum containing Buddhist artefacts from different parts of Asia and a relic chamber that contains Buddha’s tooth relic. 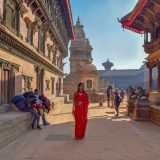 Dress conservatively covering your shoulder and knees while visiting this temple. Looking for some place quiet and offbeat? Then the Chinese and Japanese gardens in Jurong East are the perfect places to spend some time. 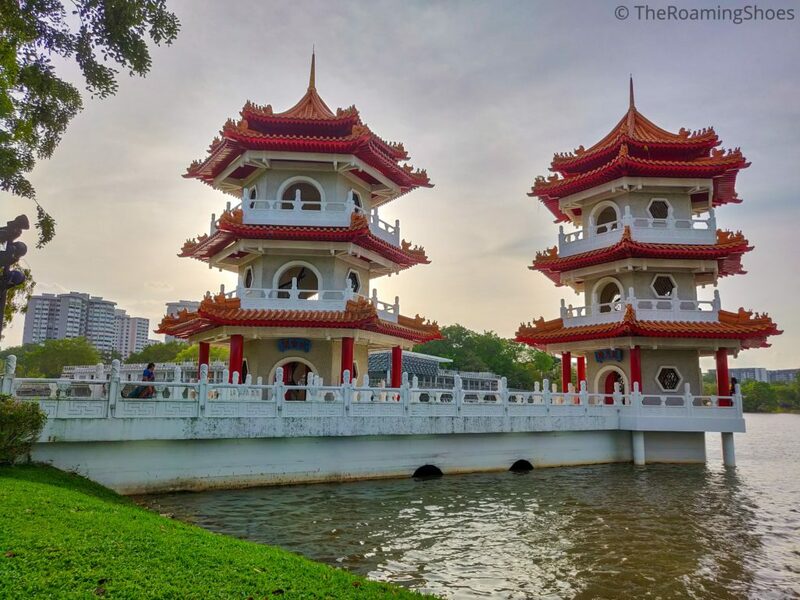 With beautifully designed pagodas, a lovely bonsai garden, well maintained lawns and a live turtle museum – this place is one of it’s kind in Singapore. Linger till the evening to witness the beauty of the place when it is illuminated, especially the pagoda at the entrance which looks really dreamy. 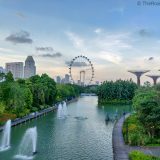 A wide range of plants and trees, sprawling lawns, little waterfalls and a pond swarming with swans and tortoises – Singapore botanic gardens is a green paradise in the middle of the bustling city. The place is massive with different zones and gardens and is Singapore’s only UNESCO World Heritage site. It is home to the National Orchid garden which has world’s largest Orchid display where you can see Orchids of various colours and sizes. Apart from the Orchids, the garden also has some beautiful settings that provide perfect photo opportunities. 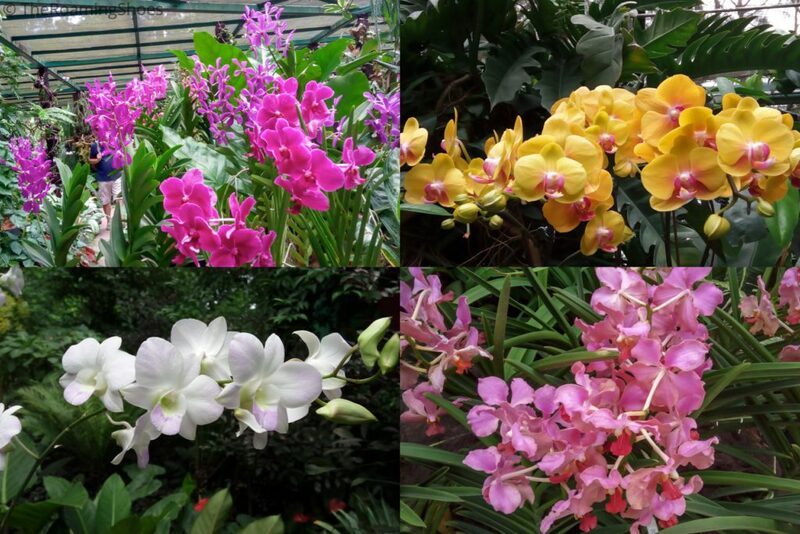 Entry to the Botanic Gardens is free, but a charge of 5 SGD is applicable to enter the Orchid garden. 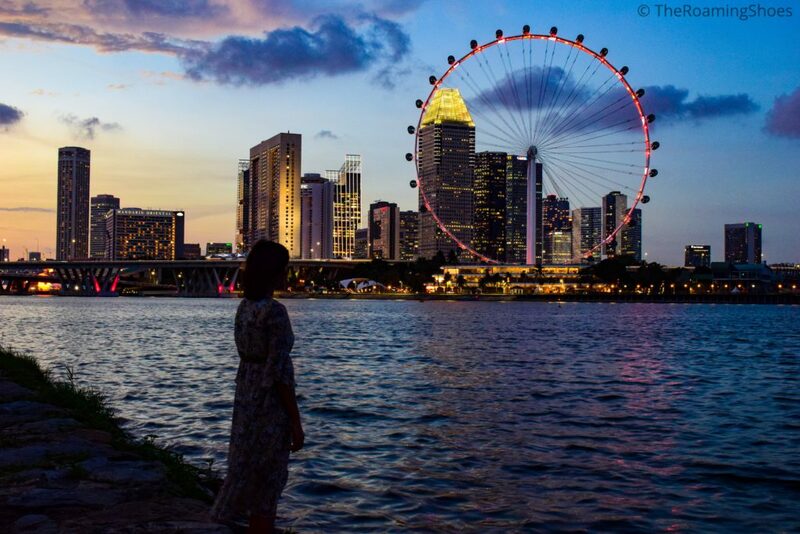 If you like to witness amazing views of the city from a giant Ferris wheel, then hop on the Singapore flyer during the evening when the city is illuminated. The ride is for 40 minutes where you can enjoy 360 degree view of the city including the iconic monuments. The Art and Science Museum is a fascinating world with multiple exhibits showcasing the creative blend of art and science. We visited the “Future World” exhibit as we always wanted to see the Crystal World inside it. But it surprised us in a way more than we had expected. Starting with digitised waterfalls and butterflies to interactive games – the installations are created with light that responds to your action. 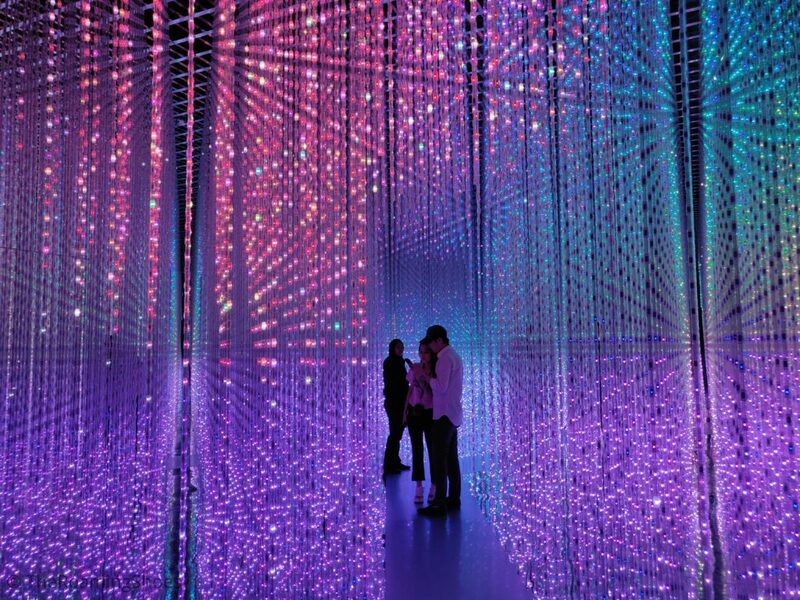 And at the end comes the most impressive installation of all, the Crystal World created using 170,000 LED bulbs. It creates the impression of moving stars and galaxies with the play of sound and the changing colour of the lights. All in all, a place definitely recommended in Singapore. The future world exhibit gets very crowded on the weekends especially the Crystal World part. So if you plan to visit on a weekend, go very early in the morning as soon as the museum opens. This is a place in Singapore not many people will tell you about. Sitting in a corner of Little India, this quiet temple has a giant statue of Lord Buddha in sitting position and a reclining statue of Buddha in an alcove at its backside. The atmosphere of the temple is very tranquil and is perfect to just sit down in silence for a while. You can also visit Thian Hock Keng temple and Sri Srinivas Perumal temple that are located nearby. 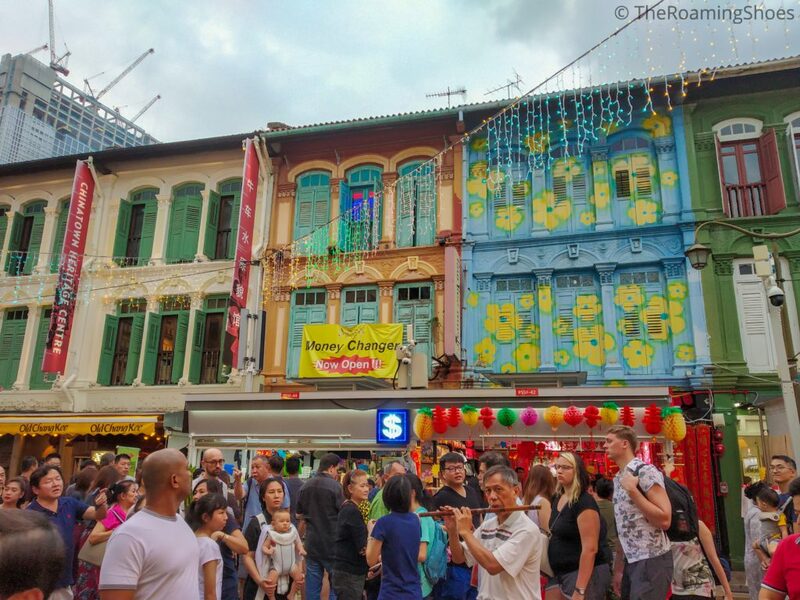 Visit the buzzing China Town area to have a sneak peek in to the Chinese culture and history in Singapore. You can simply stroll down the lantern adorned streets, shop colourful Chinese souvenirs and relish local Chinese food at the hawker centres. 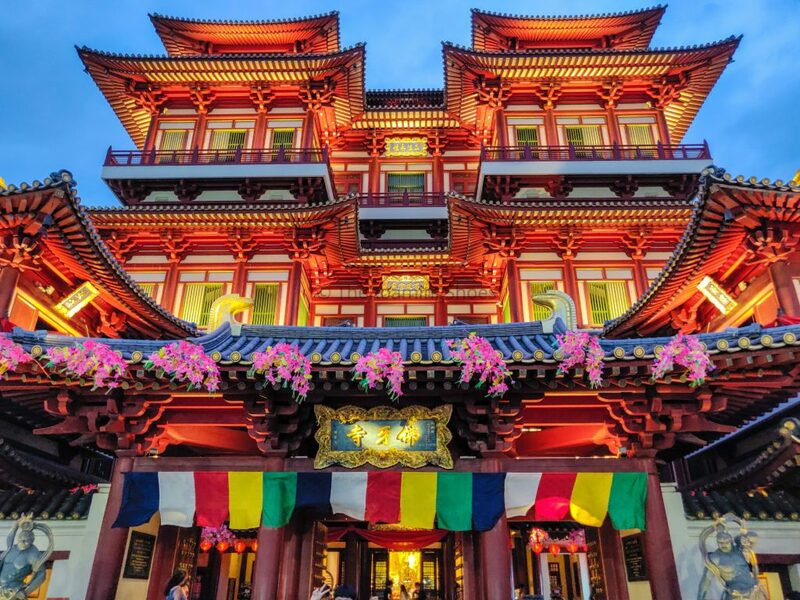 There are also a few attractions to visit in the area including the Buddha Tooth Relic temple and Sri Mariamman temple. 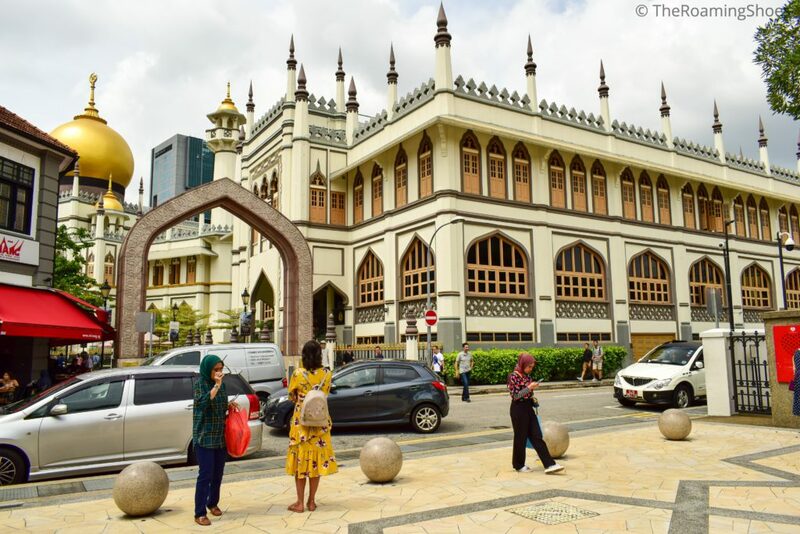 Candy coloured shop houses, walls covered in flamboyant Indian murals, colourful Hindu temples and a multitude of shops selling Indian items – Little India has everything to take you in for a pleasant visual treat. 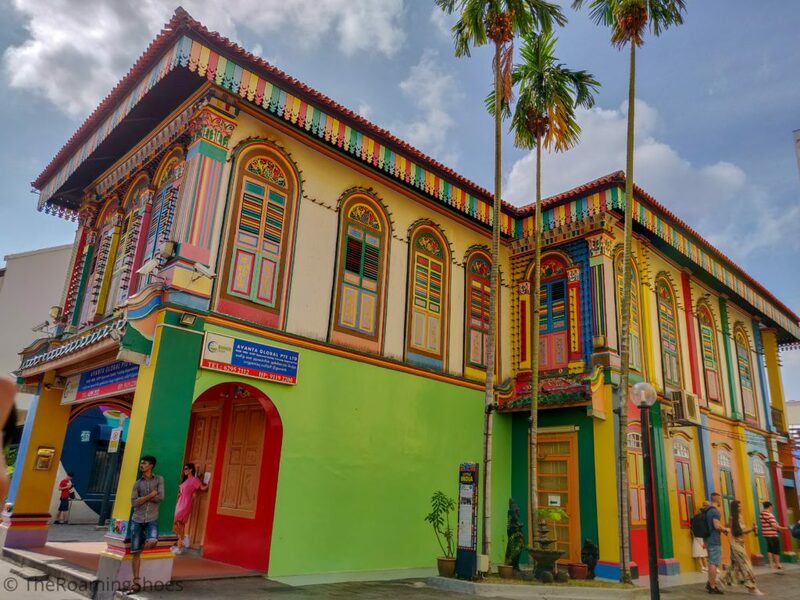 Apart from the temples, you can also visit the house of Tan Teng Niah which is the most colourful building in the area. If you are interested in shopping, then visit Mustafa Centre, an enormous 24/7 shopping mall which has everything under one roof. At the end, walk in to any of the Indian restaurants and indulge yourself in the gastronomical pleasure of trying out delicious Indian food. 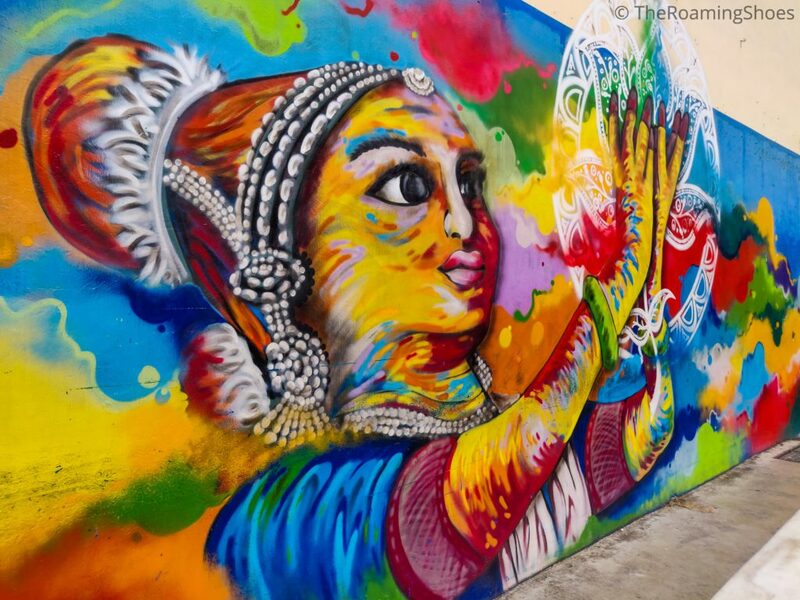 Lying at a walkable distance from Little India, Arab street is one of the hippest neighbourhoods of Singapore. The lanes here are edged by quaint little boutiques and dainty restaurants offering Arabian and Turkish delicacies. Whether it is exotic fabric or colourful Turkish lamps, exquisite carpets or cute little souvenirs – the shops in Arab street have it all. And once you are done with the food and shopping experience, head to the Sultan Mosque which is one of the prettiest mosques in town. 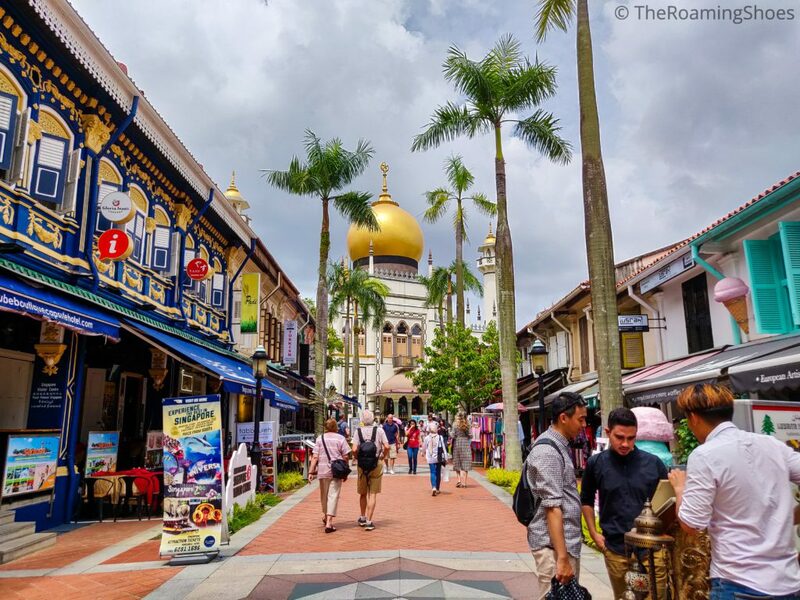 A part of the Arab quarter is one of the narrowest and perky lanes of Singapore called the Haji Lane. Decked with fancy boutiques, quirky cafes and graffiti covered walls, this is our favourite street in all of Singapore. This is also the place for the selfie coffee shop where you can enjoy drinking your own selfie . 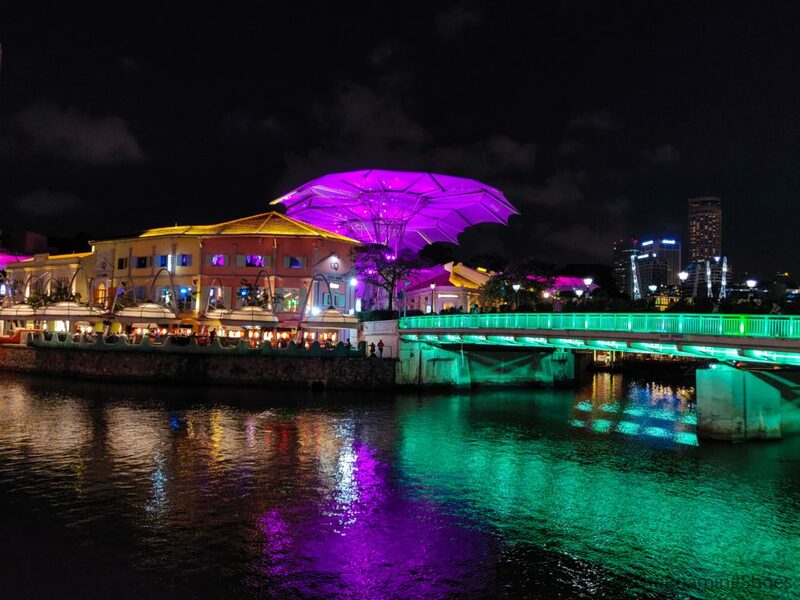 Head to Clarke Quay in the evening to have a glimpse of Singapore’s night life. Sitting on the river side, this place is quite famous for the eclectic range of bars and restaurants providing brewed beers and delectable food. Though the place is open all day, it truly comes alive in the evening with colourful lights, live music and cosmopolitan crowd flocking in. You can simply take a walk along the riverside, go on a boat cruise or just sit at a restaurant enjoying mouth watering food. We loved the food and ambience of Brewerkz and definitely recommend it. This may not come in the typical “must see” places in Singapore, but more as a photography destination. 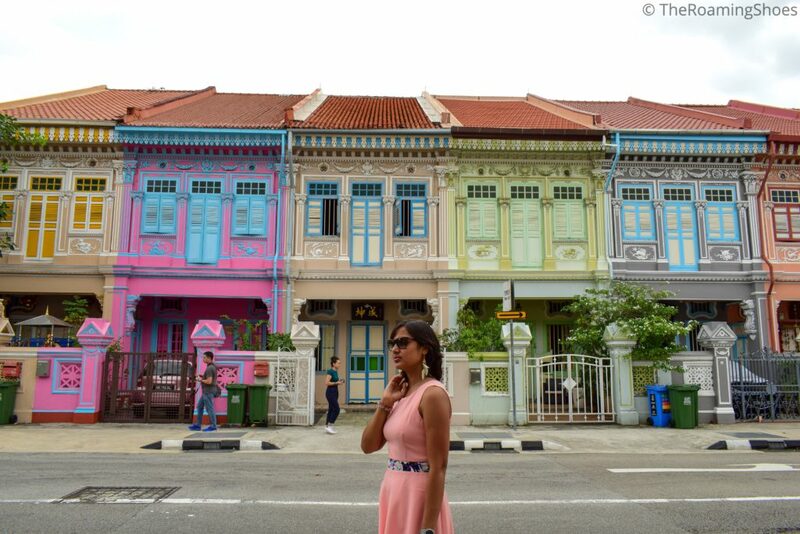 The traditional Peranakan houses of multiple colours at both sides of the road serve as a great background for some lovely pictures. Just 20 minutes by ferry from Marina South Pier, St John and Lazarus islands provide perfect getaways from the city life of Singapore. Both islands are connected and it takes around 10 minutes to walk from St John’s to Lazarus Island. 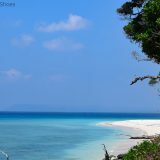 Our personal favourite is Lazarus Island which is covered by thick vegetation and is an ideal place to spend a day having a picnic or just laze around. Since the islands are still not popular in the tourist radar, you may see very few people even on weekends. Plan your visit to the island keeping in view the scheduled ferry timings. A picturesque place, is n’t it? Oh wait! This is not all. 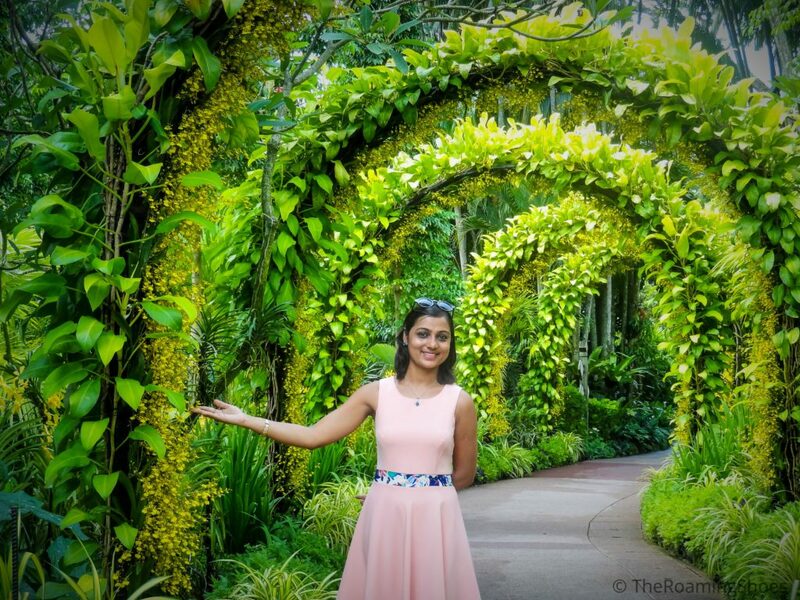 There are still few more things you can do in Singapore. 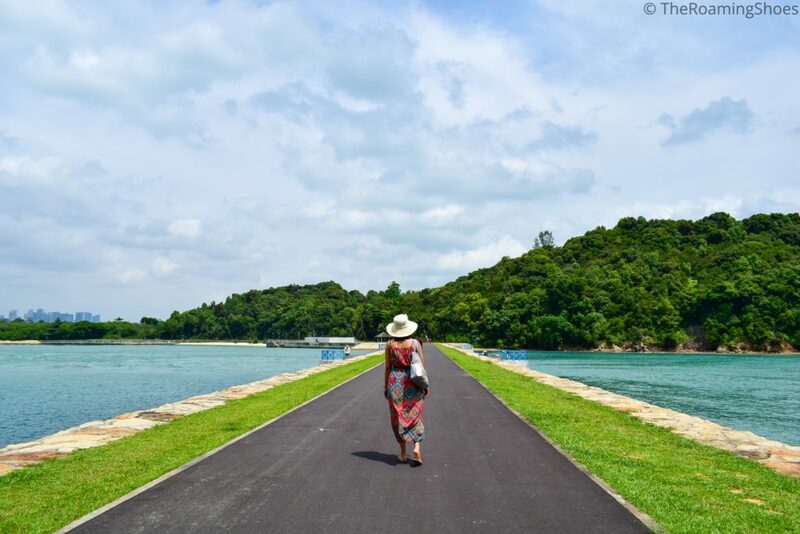 Take a day trip to Palau Ubin and enjoy your day cycling and exploring the beautiful island. Dominated mainly by cuisines of Chinese, Malay and Indian origins, Singapore is a food paradise when it comes to the extensive array of options it provides. Here are some of the dishes you can try in Singapore. We recommend trying these dishes at local food courts (part of all local markets and shopping centres) for an authentic experience. Chicken Rice: Steamed chicken cut in to thin pieces and served with fragrant rice. Chilli Crab: Crab cooked in a tomato and chilli based gravy and is one of the most iconic seafood dishes of Singapore. Roti Prata: Indian origin flat bread made of flour and available with a variation in stuffings such as onions, mushrooms, egg and chicken. Usually served with a side of veg, mutton or chicken curry. Satay: Meat grilled in skewer and served with a peanut based sauce. Originally a Malaysian dish, this is super tasty and is widely available in Singapore. Kaya Toast: Toast filled with a specially made Kaya jam and is a breakfast favourite in Singapore. Usually served with tea/coffee and eggs. Pandan Cake: A light green coloured sponge cake prepared from Pandan leaves and totally melts in the mouth. One of the best cakes we ever tried. Ice Kacang: A mound of shaved ice bathed in different coloured sugar syrups and topped with corn, peanuts and condensed milk. Originally a Malaysian desert, this serves as a perfect cooler in the scorching heat of Singapore. Teh Halia (The creamy ginger tea that is one of our favourites in Singapore) at the tea shops in Tekka Centre (Little India). Authentic and delicious dim sums at Din Tai Fung restaurant. If you can brave the smell, then try some Durian too, a fruit abundantly found in Singapore. But remember, durians are not allowed inside hotel rooms, taxis or MRTs due to their strong smell. No trip to Singapore can be complete without a little shopping, especially when it is considered as one of the best shopping destinations in the world. From high-end malls gleaming with world class brands and fashion boutiques to street side shops selling contemporary items at affordable prices – Singapore has something for every kind of shopper. Here is a list of places to shop in Singapore. Orchard Road: This is your place to go if you have a love for brands. The place has a vast array of luxury malls and shopping centres where you will find shops of all major brands including Zara, H&M, Marks and Spencers, Louis Vuitton etc. Orchard Road is also home to two of the famous shopping malls for budget shopping namely Lucky Plaza and Far East plaza where you can shop to your heart’s content without making a big hole in your pocket. Bugis Street: This among all is my personal favourite shopping place in Singapore. The 3 storey street style shopping area is a great place for shopping classy clothes and accessories at low prices. This is one of the cheapest shopping streets of Singapore where you can find good quality tops starting from 10 SGD and dresses starting from 15 SGD. Bugis Junction: Opposite to Bugi’s street is the Bugi’s junction that has a multi storied mall and an open air shopping street. The multitude of shopping options include cosmetics, clothings, accessories, toys and homewares etc. You can find boutiques selling beautiful dresses starting from as low as 30 SGD. City Plaza: Ideal for buying cheap clothes, purses/handbags and accessories. There are also a few boutiques where you could get nice dresses at reasonable prices. Little India: The roadside shops in Serangoon road in Little India are the best to buy souvenirs for your loved ones at home. Many of the souvenirs come in 3 for 10 SGD including decorative items and fashion jewellary. Check out the shops near Indian Heritage Centre for any Indian souvenir. Mustafa Centre is also a good option if you want to buy chocolates, cosmetics and accessories. China Town: The street markets in China town are best for buying traditional Chinese goods, silk items, cute painted umbrellas and souvenirs. Singapore has an all year round sticky and humid weather. So do not forget to pack your hat, sunglass, umbrella, sunscreen and wet tissues. Pack a pair of comfortable footwear as many of the attractions require a lot of walking such as the zoo, gardens by the bay, botanic garden etc. Breezy and light clothing suitable for hot weather. The tickets for the attractions are quite expensive when bought directly from their respective sites or at the counters. But there are few apps where you can get the tickets at discounted prices. We found Klook (Android, IOS) quite useful. Tap water in Singapore is absolutely safe to drink even though it may not be explicitly written everywhere. So you need not waste money on buying packaged water. So this is all about Singapore from our end. 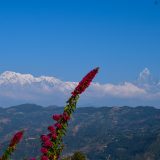 We have tried to include every detail that you may need to plan the trip on your own. If you have any more questions, let us know in the comments. We wish you a happy trip . The Roaming Shoes © 2019. All Rights Reserved.